Dried pulses like chickpeas, beans and lentils are a big part of Turkish cuisine and we eat these staples almost daily; they are delicious, nutritious and easy to prepare. 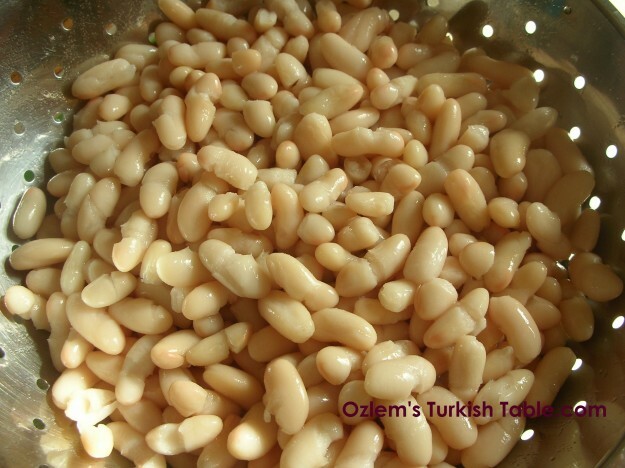 Beans, which were established in the early history of Anatolia, are wholesome and nutritious. They are a great source of source of protein, vitamin B1 and dietary fiber. 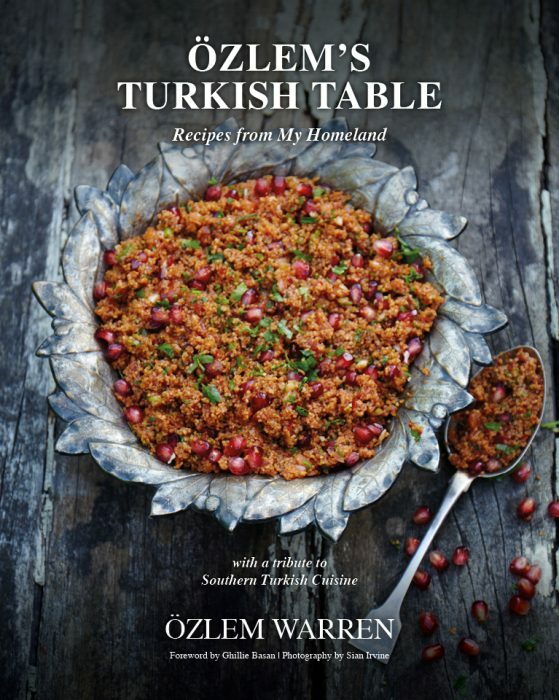 I love beans and included many beans based salads, dips and mains at my Turkish cookery book, Ozlem’s Turkish Table, Recipes from My Homeland, signed copies available to order at this link. Pulse dishes are very popular at home as mezzes – such as this Warm hummus with red pepper flakes infused olive oil made from chickpeas, tahini, cumin and extra virgin olive oil. Have you ever had hummus served warm? That’s the way we enjoy hummus especially in southern Turkey, warming the hummus brings out the wonderful flavors of tahini, cumin and olive oil, and it is just delicious. This bean salad with tomatoes, olives, red onion slices and olives is wonderful for lunch or a side dish for grilled meat. 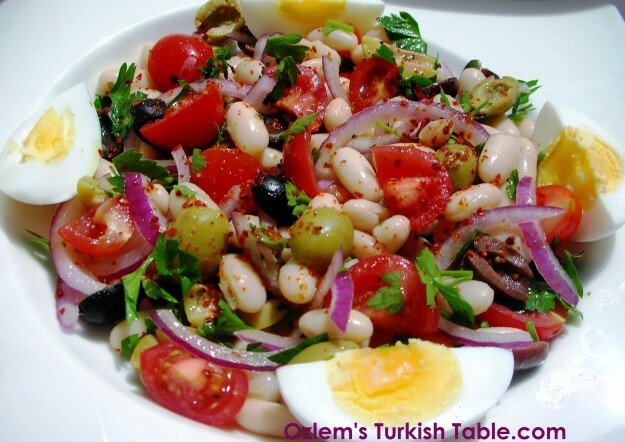 How about this delicious and substantial Turkish bean salad with eggs, olives, onions, and tomatoes; Fasulye Piyazi, for lunch ? We like to serve this salad along with grilled meatballs at home, such a delicious, healthy treat. 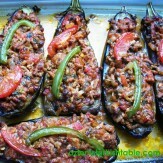 Kuru Fasulye; one of the most traditional Turkish dishes, wholesome and so delicious. This week, I wanted to share our delicious traditional bean stew, Kuru Fasulye. 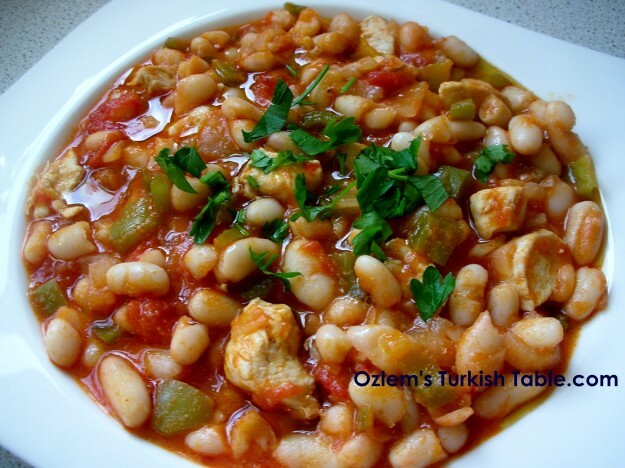 This bean stew is very popular at Turkish homes as well as in our traditional restaurants, lokantas. Traditional lokantas in Turkey are also called Esnaf Lokantasi; as the workers used to come to these restaurants for their lunch break- is a wonderful concept. 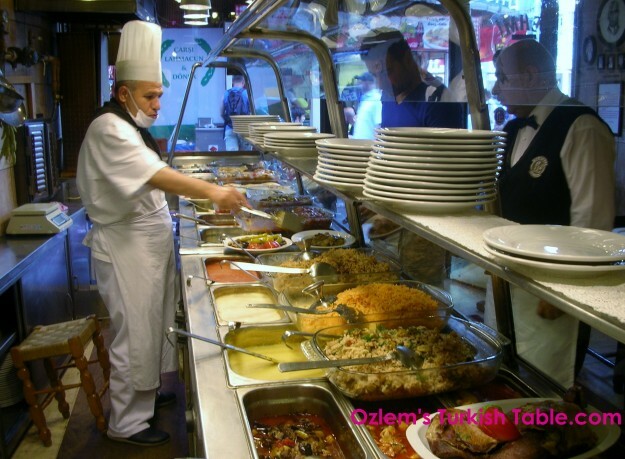 Fehmi Lokantasi in Kadikoy; delicious, precooked meals all lined up – so many choices! 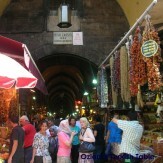 Have ever been to the vibrant and ever so colorful Kadikoy district in Istanbul? The market is wonderful with the fresh produce and friendly lokantas around. This is Fehmi Lokantasi in Kadikoy, with mouthwatering displays of ready to eat stews, rice, vegetables cooked in olive oil and many more. Delicious displays of casseroles, fresh beans cooked in olive oil and many more at Fehmi Lokantasi. 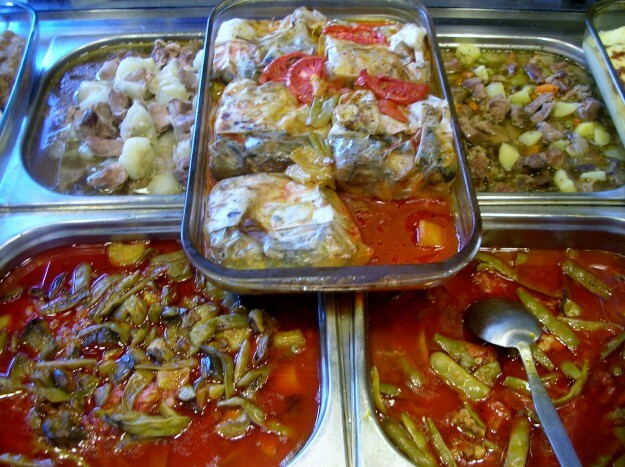 Trays of precooked – and gently heated – stews, rice, vegetables cooked in olive oil, stuffed vegetables and many more – are displayed in a buffet style in traditional lokantas. This is slowly cooked “fast food”; all you need to do is to pick up your tray and point to the Chef, Asci, which dishes you would like to try – they are ever so inviting, I usually end up having small portions of a few to share!-. Good news is, you can recreate many of these stews and casseroles at home too. I love this bean stew with chicken and vegetables, as it is so easy, delicious and nutritious. If you are using dried beans, you need to soak them overnight. But if you don’t have time for this, please have a go and use the precooked haricot beans instead. They still work great and you will be preparing a wholesome, delicious meal in no time. 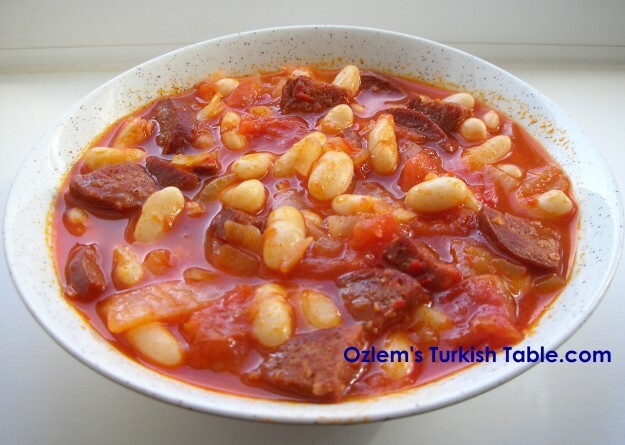 This bean stew is also wonderful when cooked with Turkish spicy sausage, sucuk. You can use any spicy sausage you like or for a vegetarian option, simply omit the meat. Precooked dried beans are perfectly fine to use in the stew; and you will still be making a wholesome meal. If you are using dried beans, soak them in plenty of water overnight. Next day, drain the water and boil the dried beans in fresh water for about 30 minutes, partially covered, until they are tender but not mushy. Drain the water and set the cooked beans aside. If you are using precooked white beans, simply drain the juice and rinse the beans under cold water. Set them aside. In a heavy pan, sauté the onion with the olive oil until soft. Add the meat and sauté for another minute or so. 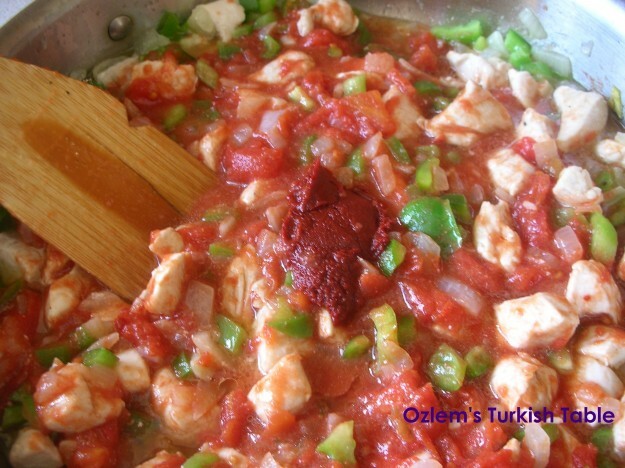 Stir in the green peppers, chopped tomatoes and the red pepper paste (if using) and mix well. Cover and simmer on low heat for 20 minutes. Then stir in the cooked beans and the water, mixing gently so that the beans won’t break. Season with salt, black pepper and red pepper flakes. Cover and cook in medium heat for. about 10 minutes. Stir in the parsley and combine well. 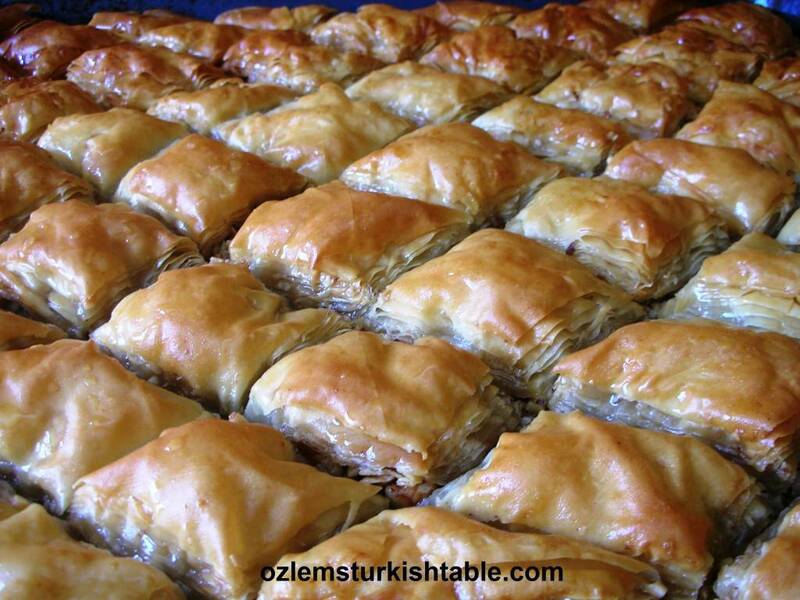 Delicious Kuru Fasulye; wonderful with plain rice by the side. Serve hot with plain rice by the side. You can cook this stew ahead of time, even a day in advance. It freezes very well too. Traditionally; some locals also like to have a quarter of sliced raw onion by the side. A few pickles – tursu, as we say in Turkish- as well as Cacik dip –of yoghurt, cucumbers and dried mint– complements this bean stew well. Cacik dip of plain yoghurt, cucumbers and dried mint complements the bean stew well. Kiz Kulesi, Maiden Tower, Istanbul. 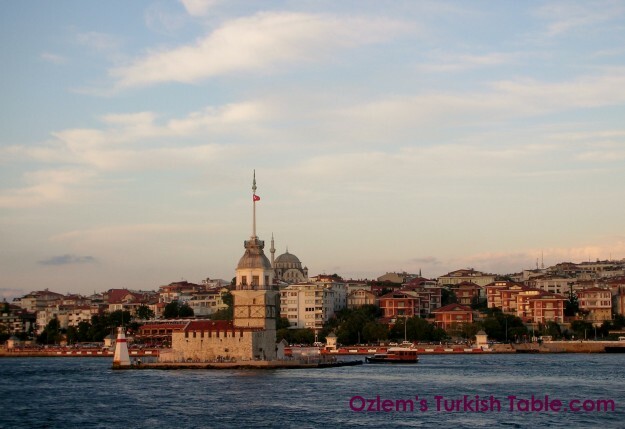 Try traveling by ferries – vapur – in Istanbul to enjoy wonderful sites like this. 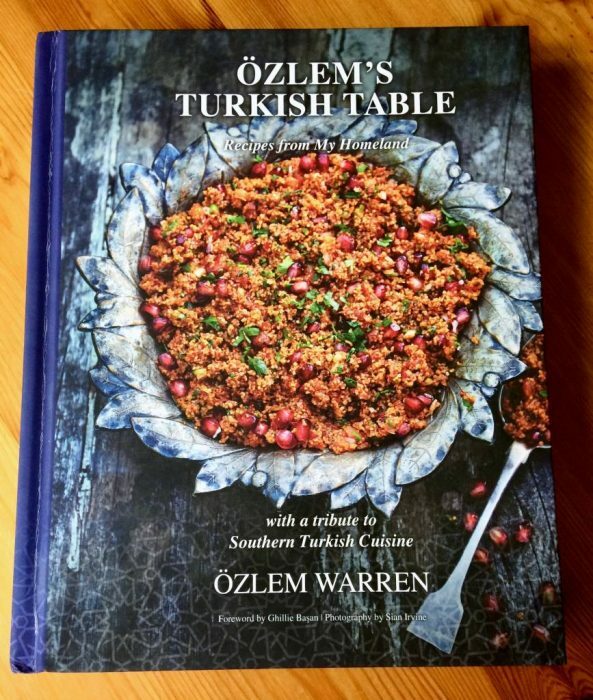 Ozlem’s Turkish Table Cookery Book – in the making! 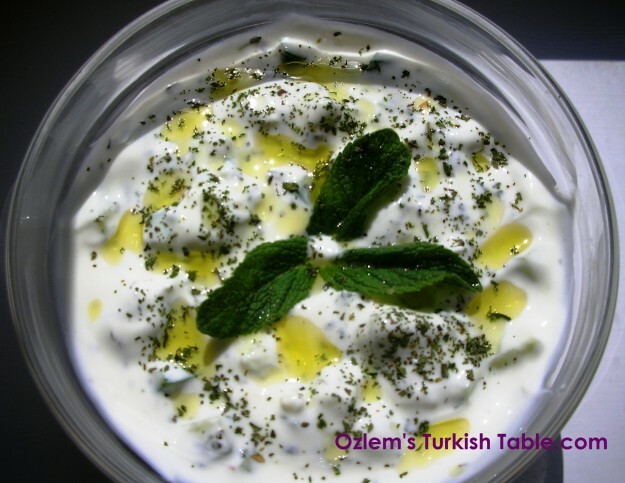 Let's celebrate healthy living with delicious Turkish food and great tips for healthy living! oh wow!!! i want to try all of these. now i have so many new recipes to make i am not sure where i will start! i am also going to make your mothers stuffed cabbage recipe. thanks so much! You are absolutely right about beans. They are so healthy, nutricious and tasty. You always make wonderful dishes with lots of colours and they are ever so inviting! This dishes are beautiful. I can appreciate beans as I grew-up on them as well but in an American diet. Yummy…yummy…yummy! Ozlem, so many of my favorites in this post. Love beans and you have some amazing ways to use them:) delicious…xxxPeri. I love your recipes and often cook for groups of 8-15 people. 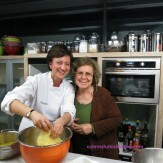 In September I cooked for a retreat and used four of your recipes which were super popular. I can’t wait to try the latest! Thanks so much! Hi Hollis, so glad to hear you have been enjoying the recipes, no better compliment:) it’s a pleasure to share them, hope you enjoy the bean recipes too! Those all looked so wonderful, delisious and comforting! Thank you. I promise to try them! This looks beautifully comforting food. I love the idea of the pickles and dip alongside it. I always seem to eat hummus cold but you’ve reminded me how good it can be when served warm. I used to eat it that way in a local restaurant many years ago and I don’t know why I’d forgotten that. merhaba ozlem! i’ve just spent 10 days in your wonderful country and city istanbul. My favourite foods were had in lokantasis and i loved the simple chicken stew (whole leg) with carrots and large potato. You guys do marvellous things with aubergines also. Simply loved it and i look forward to recreating some of those dishes through your website. Teshecular! love from India. Özlem abla, bana cocuklugum geri verdigin icin sagol. Born and raised in Denmark I never really learned how to cook turkish recipes, and my mother never had the habit of inviting me into the kitchen. Many thanks for sharing my recipe! Leave a Reply to Velva Click here to cancel reply.